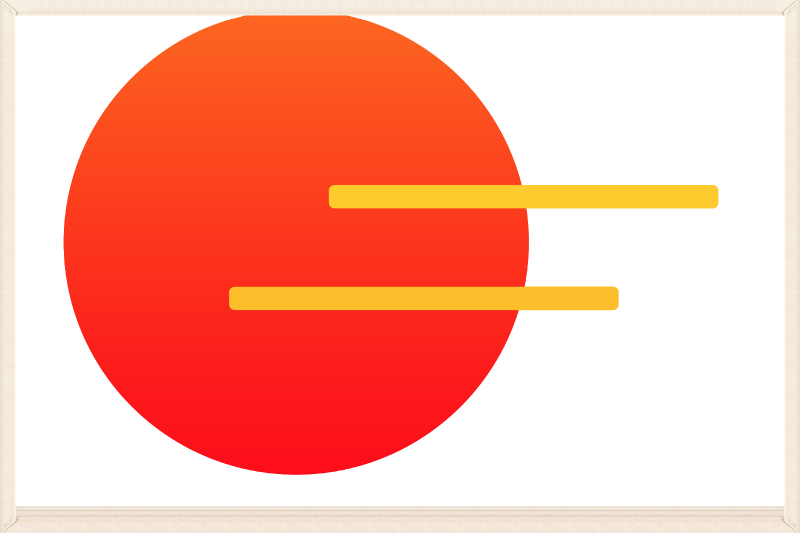 If you want to explore Amida Shu Buddhism, why not start by trying our simple practice? The nembutsu is the core practice for Pureland Buddhists across the world. It is a way of aligning ourselves with the wholesome energy of Amida Buddha, the Buddha of Infinite Light. We do this by saying ‘I entrust myself to Amida Buddha’ in different languages, most often using the phrase: Namo Amida Bu. In order to start the practice, you don’t need a clear idea of exactly what Amida is or how nembutsu works. To begin with you can see Amida an unfolding wholesome energy, as the spirit that moved the Buddha to live a good life, or as unconditional love. We would encourage you to try it for a week or for 30 days [a free online course is coming soon] and to pay attention to any changes in your mood or in your daily life. If it works for you, keep going! Nembutsu is a simple practice and it requires no special equipment or specialist knowledge. It doesn’t require the practitioner to study long texts or sign up to any dogmas. It is suitable for those with busy lives, and for those who are struggling with self-destructive habits or with feelings of despondency, anger, sadness or confusion. Nembutsu practice also connects us with the beauty in the world, with gratitude for all we receive and with a more meaningful way of life. We have a new offering for people who would like to practice and study Amida Shu Buddhism in their local area - Amida Shu Home Groups. These are local groups which can be run by anyone who is interested in our form of Buddhism. Group leaders will be offered ongoing support from an Amida Shu mentor and a pack of resources, including a suggested script to make setting a group up nice and easy. If you are interested in starting one of these groups you can have a look at the resources here. We are hoping that this will be a new way of spreading the wonderful seeds of Amida Shu Buddhism, and bringing Amida's grace to people through Dharmavidya's teachings and through this wonderful sangha. Meet Poppet, our newly three-legged bunny. Kaspa and I enjoyed our two week break and at the end of our first day back, a busy volunteer day, I went to feed the much-loved temple bunnies with 3 year old Felix. It took me a while to notice that Poppet wasn’t coming out of the hutch. When I looked closer I saw the blood, and that her back leg was at a horrible angle underneath her. I won’t go into details but when I picked her up it was a traumatic sight. We think she caught her leg in a slatted chair – I still can’t understand how she broke it so badly. Felix was amazing and ran to get a grown-up as fast as he could. We rushed off to the emergency out-of-hours vet in Worcester, trying to balance speed with not bumping her around too much. I couldn’t imagine how much pain she was in. The vet said she’d keep her comfortable overnight and then we could take her to our own vet in the morning. Rabbits are more difficult to treat medically, both because of their size and digestive systems, and because vets don’t get as much experience as they do with cats and dogs. We did some hasty Googling that evening and I spent the night worrying. Would she survive the shock? The anaesthetic? Would they save her leg? What would happen if not? The next day we said goodbye to her at 10am and waited. It was 3.30pm when the vet called. She’d made it through the op, was eating well, and by 5pm we were asked to come and pick her up. She’s currently in a temporary pen in the living room with her friend Peter for company (I just went in to check on them – Peter is licking Poppet’s head, and Fatty our old cat is hanging out nearby). She’s already managing to hop around remarkably well, and the prognosis is good. Whilst waiting for the news I couldn’t concentrate on anything and so I had lots of time to look at the beautiful blue sky and contemplate. Life is so short and unpredictable. Most (all?) of the discomfort I experienced from the time we found Poppet injured was because I wanted thing to be different than they were, and I wanted to be in control. I wasn’t in control of how far away the vets were, or whether or not she was going to stop breathing on the journey. I wasn’t in control of whether she came round after her operation. Of course, I manipulated the situation as much as I could – barking orders at poor Kaspa, interrogating the vet about her surgical skills, beating myself up for leaving the chair in the rabbit’s enclosure – but none of these things made any substantial difference to the outcome. By the grace of the Buddhas, Poppet has been allowed some more time alive – to flop over and roll in the sunshine, to race up and down the grass, and to snuggle under Peter’s belly. And thank you to you, for reading and for caring. Namo Amida Bu. "Just As You Are: Buddhism for Foolish Beings' is for anyone who wants to live a good life but is tired of endlessly trying to perfect themselves. Pureland Buddhism takes a realistic view of our foolish natures as human beings, and offers us an alternative to the ‘do it yourself’ self-help movement. 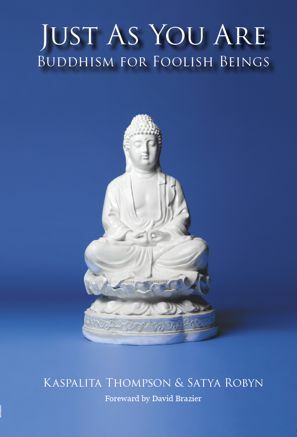 With anecdotes of temple life and instructions for simple Pureland practices, the authors introduce us to this ancient and unique tradition of Buddhism and show us how it can make a powerful difference to our everyday lives. Covering topics such as trust, overcoming suffering, grace, being kind and self-care, the book also contains the voices of different Pureland Buddhists speaking of their own diverse experiences. This book shows us how we are all loveable just as we are, and that understanding this is the key to deep and lasting change. "This book will not give you a do-it-by-numbers self-help, pull-yourself-up-by-your-own-effort ladder to climb. Here two good people have written a lovely book about faith and practice, which explains their own journey and many aspects of Pureland Buddhism in terms that are easy to understand. It will remind you of the love that is already there and the refuge that is already at hand. It will invite you to celebrate it and to do so in company with others similarly inspired. In doing so, it will welcome you home to a place of peace where all is completely assured. A wonderful contribution to the growth of the Buddhist community." "What the authors have done in this book is show the way toward attentive compassion - compassion towards others but also, and maybe more importantly, towards oneself. I laughed out loud at the idea of the validation of our foolish, bombu nature. The introduction to daily practice is succinct and blessedly clear. The book uses the upaya of personal experience to draw one in to the value and meaning of spiritual experience, and then lays out the actual day-to-day practice itself so that a reader will know exactly what they are getting into and why. This is so useful. I have a statue of the seated Buddha on my altar. In his left hand he holds the fire of the Dharma, as though to say atta dipa, you are the light itself. His right hand is raised, palm out, in the universal gesture of peace, saying don’t be afraid. The authors also hold up their hands, palms out, saying to readers, don’t be afraid. It’s okay. There is no distance between us." "This is a lovely, gentle introduction to a lesser known (in the west) Buddhist tradition. It gives a user friendly outline of what Pureland Buddhism is and a realistic insight into the lifestyle of devotional religion. The authors use their experience to carry a message of compassion and a deep insight into Human nature as foundational aspects of a revolutionary way of life. An essential read for the Buddhist who wants to look beyond the dogma to the heart of the teaching. Namo Amida Bu!" "An enjoyable and understandable read. Very open, honest, and realistic. Covering day to day temple life and daily experiences, and shared moments of real insight. Both writers and contributors capture the essence of what is unique in Pureland Buddhism and explain simply the various methods of practice. A very positive and helpful book with a feeling of real gratitude running throughout." "This is a very accessible introduction to Pureland Buddhism and an open account of life in a temple. Factual information is clear and never dry, and this alternates with personal experiences which are always honest. The overall impression is of warmth and acceptance - a must read for Buddhists, non Buddhists and the spiritually curious." "Great introduction to the lesser known Pureland Buddhist tradition. Warm words for the longing soul. If you are a seeker and curious about the different and rich approaches Buddhism offer, this one is for you. " are ordained Priests with the Amida-Shu and they run a Pureland temple in Malvern in the UK. They both work as psychotherapists and are interested in building local community and in teaching Buddhism that improves the lives of ordinary people like you and me. We have heard the sad news that Vicky has died. She was living with her son in Vienna. 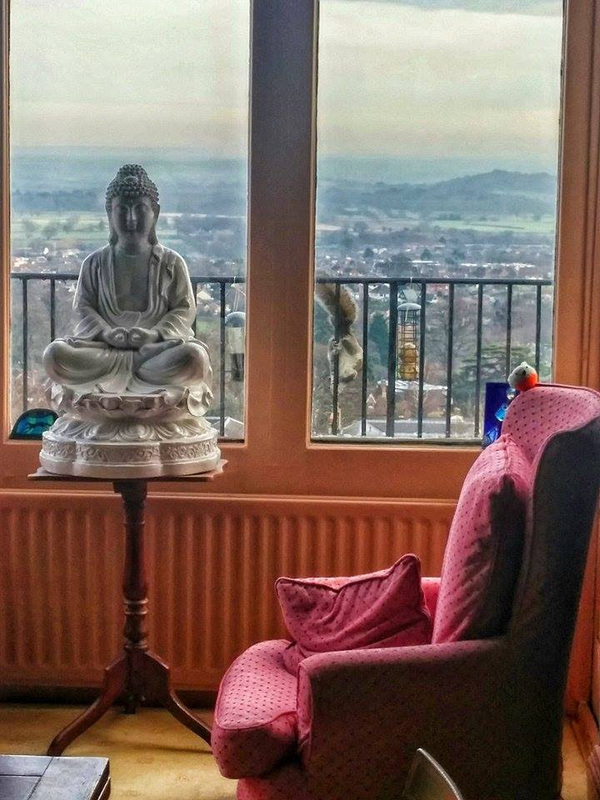 She stayed alongside the Amida community when they were based at The Buddhist House in Narborough. Loving memories from all who knew her. 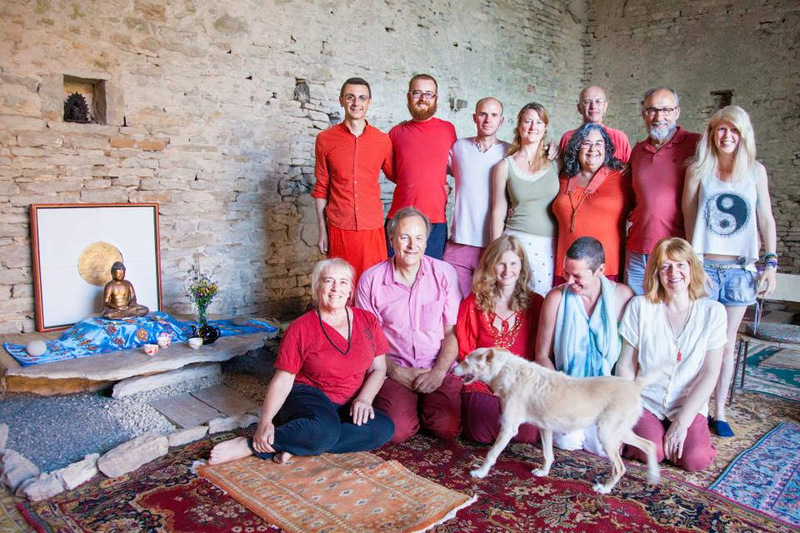 For those of you who couldn't join us, I wanted to give you all a taste of our two weeks of retreat in Bessait-Le-Fromental at Dharmavidya's hermitage, Eleusis. We were an international bunch - the group was Ganendra (Spain), Modgala, Kaspa, Satya, Adam and Caroline (UK), Prajna and James (Canada), Jan (Hawaii), and Maitrisimha, Annetta, and Floor and Jnanamati (the Hague). Our first week was a Nei Quan retreat and Dharmavidya asked us to pay attention to any thoughts and feelings which arose during practice or times writing in our journals, chasing them and examining them rather than letting them go. We gave daily 'reports' of our findings to Dharmavidya in front of the group which was helpful for individuals and stimulated thought for the rest of the group. 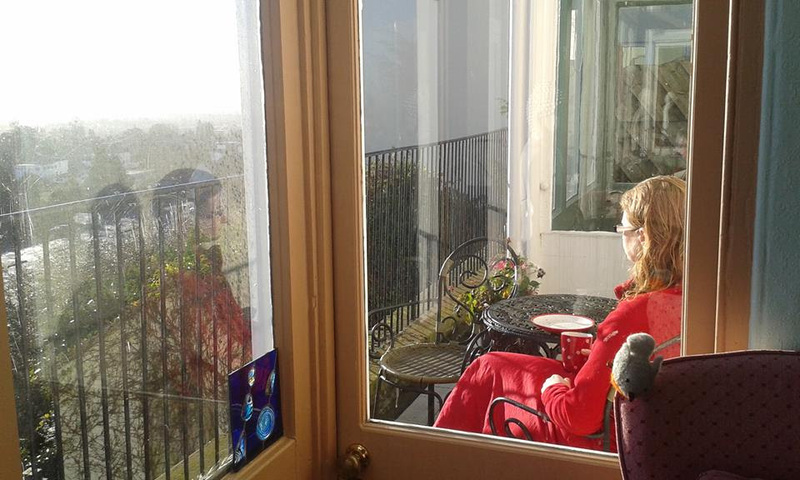 Many of us felt great personal shifts, held by Dharmavidya, the daily practice, the group and the beautiful setting. The second week was the Order retreat which coincided with a heatwave and so we held most of our meetings in the shade under the walnut tree rather than in the stifling attic room! We heard reports of Amida sanghas in India, Malvern, London, Canada, the Hague, Belgium and Spain. The Order retreat is also a time when those who run groups can get support from others in a similar position, and share ideas and experiences. We were cooked delicious food by Jnanamati, Adam and Floor, and enjoyed much good conversation over the washing up table, going on walks and gathered by the wall in the evening with a cup of chicory. We also enjoyed a swim! Maybe we'll see you next year... If you'd like to visit before then to volunteer for Dharmavidya in the house or garden, get in touch with Jnanamati for more information. There are three opportunities to attend a retreat led Dharmavidya over the coming year - do put them in your diaries. A recent unexpected project has been major work on the garden, led by a new sangha member and volunteer, Ron. With the help of our volunteers he has already taken down several big cypresses to clear space in the garden and let in light to us and to our neighbours. We have plans for a meditation hut! 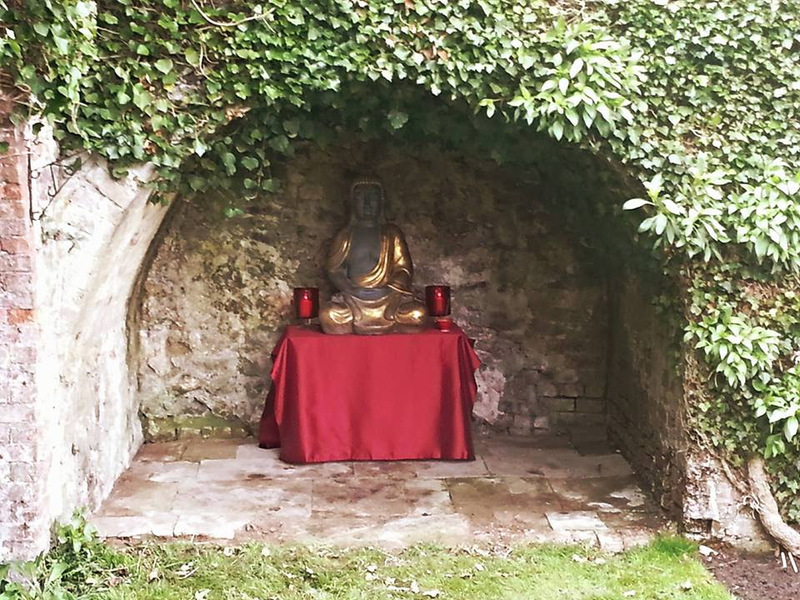 Although we are taken up with the big list of things-to-be-done here, we feel connected to and supported by the wider sangha both in the UK and beyond, and of course by Dharmavidya. We are looking forward to another visit from Jnanamati and we are in very regular contact with the Trust who are behind us (and in front of us!) all the way. I especially feel this connection when we have services and retreat days. You all have a space in the shrine room! Over the rest of the year we hope to continue work on the garden and continue with work that needs to be done to the house - some expensive gable re-rendering, and a new boiler. We're starting up a fundraising group soon and you may hear from us soon about that. We hope that you keep in touch with us here - through our newsletter, our website www.amidamandala.com, or by coming and visiting us. We feel very privileged to be the ones who are currently looking after this special building. We are blessed. The buying and moving in process, which seemed to take a lifetime in itself, now seems like another lifetime away. As I write this the morning sun is streaming in through our windows, and I can hear the sound of Ron, who Satya mentioned above, working in the garden. 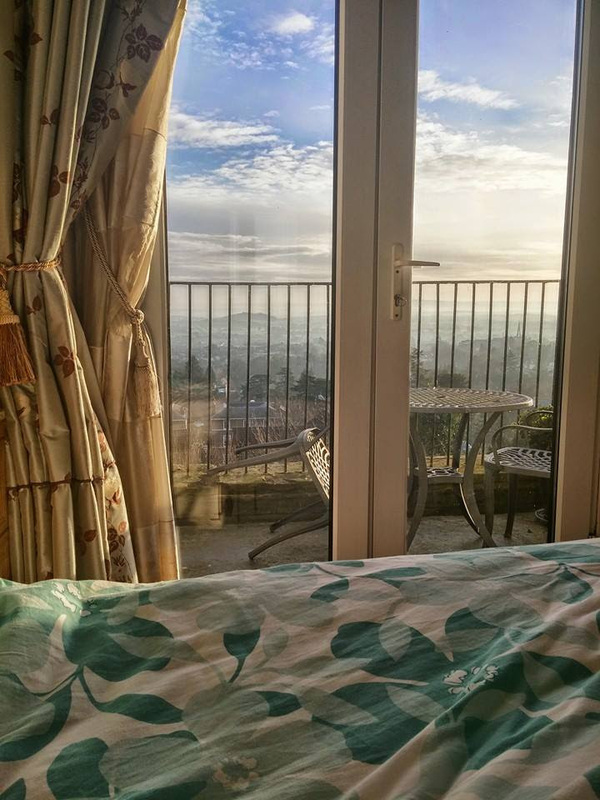 Today I have done some writing, I have taught a meditation class, and been talking to some contractors about taking a bathroom out of what was one of the old B&B bedrooms, to make it into a more useable space. I’ve had a chat with a couple of residents, and this afternoon I’ll be seeing my own private clients, before leading our Wednesday evening service (It’s my turn this week). After service this evening, we’ll have a short stone passing, which we do once a month. This is a typical day, a mix of my own private work and work for the Temple, either with a management hat on or a priests hat on, so to speak, sometimes both at once. It feels like we are just entering into a new phase here, the first couple of months new people were coming and going and we were settling in ourselves. Now some of those new people are beginning to feel like old friends, and Satya and I are feeling much more settled ourselves. How lucky we are to have been gifted such a space, and such a community. It is a grace. whispers from the bamboo grove - amida newsletter 20 - an exciting new development! I'm writing to you as chair of Amida Trust, to tell you about the exciting new developments and possibilities opening up for the UK Amida sangha in partnership with Amida Trust. Most of you will know that the Trust owns a property in London - Sukhavati - which was left to the Trust by Christina Thompson in 1999, on condition that the building be used as a Dharma centre. 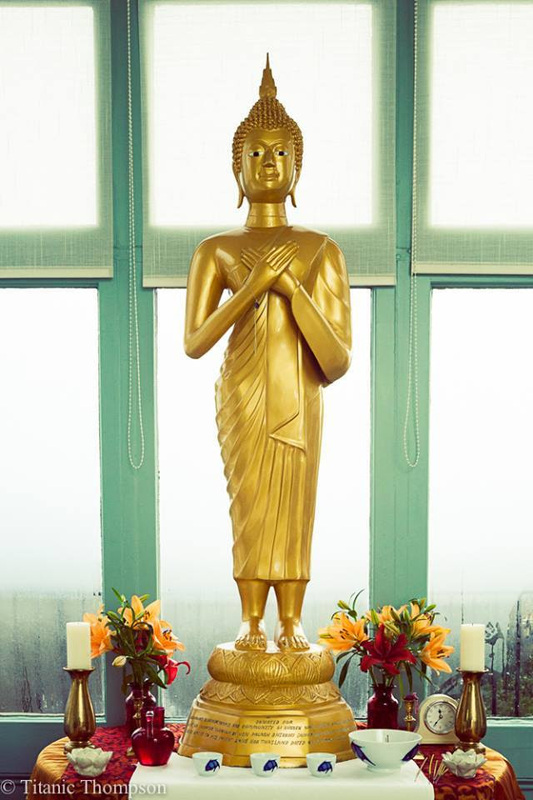 Dharmavidya initially ran the centre as the Trust headquarters and UK Dharma Centre for a short while until the establishment of the Buddhist House in Narborough, whereupon Sukhavati became the London satellite for Amida Trust. It fulfilled that function very well for many years under the care of many Order members including Madrakara, Modgala, Sumaya, Jnanamati, Padma and lastly Andy Paice, our current housekeeper. 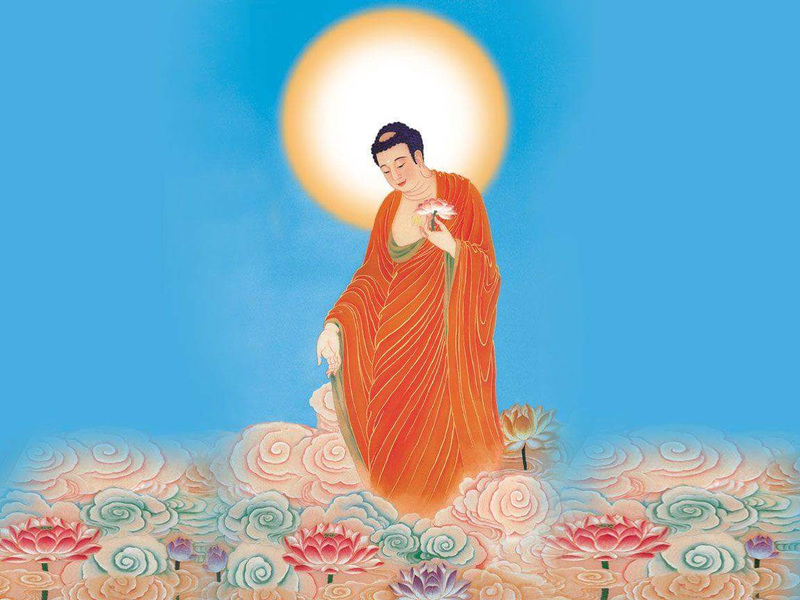 Many people encountered Pureland Buddhism and Dharmavidya's teachings for the first time at Sukhavati, and some of these good people went on to become Order members themselves. Many others were touched by the teachings and became good friends of the Order and Trust. Modgala in particular developed a network of sympathetic friends and provided a place for people where they could find trust, faith and openness.